Each piece is handcrafted in porcelain by celebrated Edinburgh ceramist Carol Sinclair and is utterly unique. 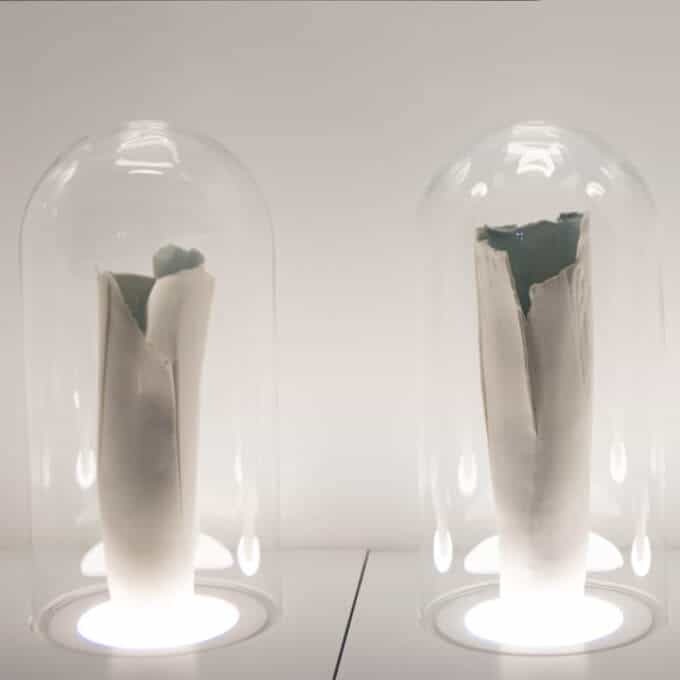 These Glacier Vases immediately connect the qualities of porcelain with the vast polar landscapes that Isobel explored, capturing the endless variations of eroded and melted textures in snow and ice. 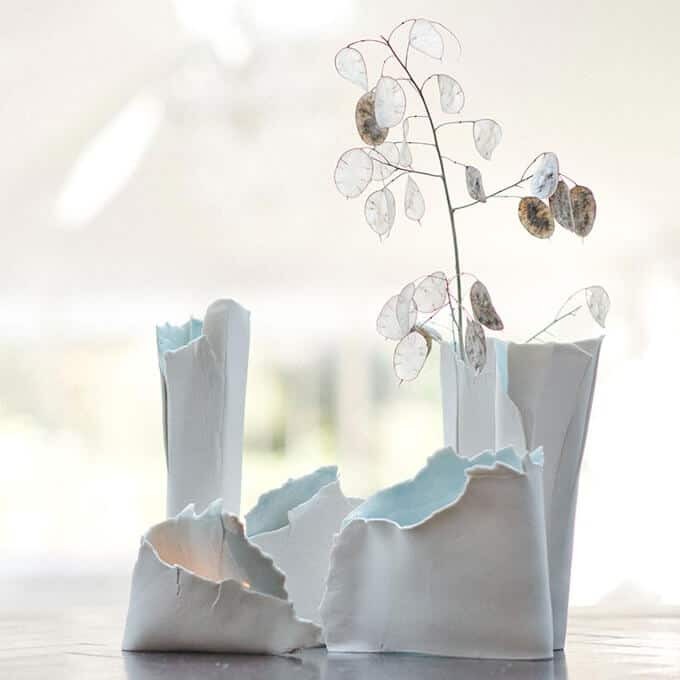 These sculptural porcelain vases capture something of the almost imperceptible but relentless movement of ice across a landscape. Touches of icy blue glaze reflect the sea that connects and feeds the ice. Care: Hand wash in warm water, avoiding extreme changes in temperature.